The 2012 HIV Diagnostics Conference, co-sponsored by the Centers for Disease Control and Prevention (CDC), the National Minority AIDS Council (NMAC), and the Association of Public Health Laboratories (APHL), provided an opportunity for clinicians, laboratorians, HIV/AIDS program managers and directors, and industry representatives to review and discuss developments in HIV diagnostics, share data and research findings, and establish collaborations. 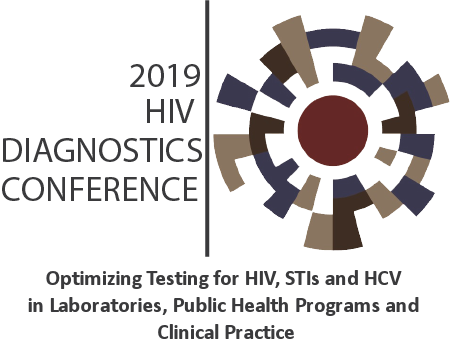 Since its inception in 2005, the HIV Diagnostics Conference has served as an opportunity for those interested in issues related to HIV diagnostic testing to gather and discuss new developments and related prevention and surveillance measures. At the 2010 HIV Diagnostics Conference, a new HIV-1/2 diagnostic testing algorithm was proposed. The 2012 HIV Diagnostics Conference provided opportunities for participants to share their experiences with 4th generation antigen/antibody assays and data generated with the proposed HIV-1/2 diagnostic testing algorithm. The 2012 conference was held December 12-14 at the Sheraton Atlanta Hotel in Atlanta, GA. Abstracts and proceedings from this conference and past conferences can be accessed online on this website.